This Antique Style Dropped Waist Slip is made for the antique bisque head dolls with either a ball jointed body or a kid leather body. 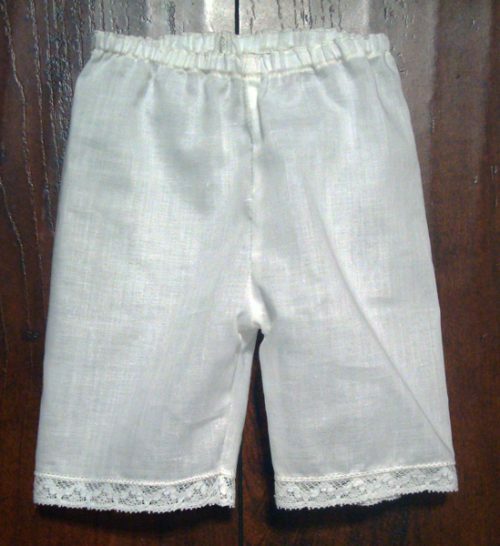 They are made of vintage 100% cotton batiste trimmed with vintage cotton lace. They close in the back with square snaps and are finished with French seams. 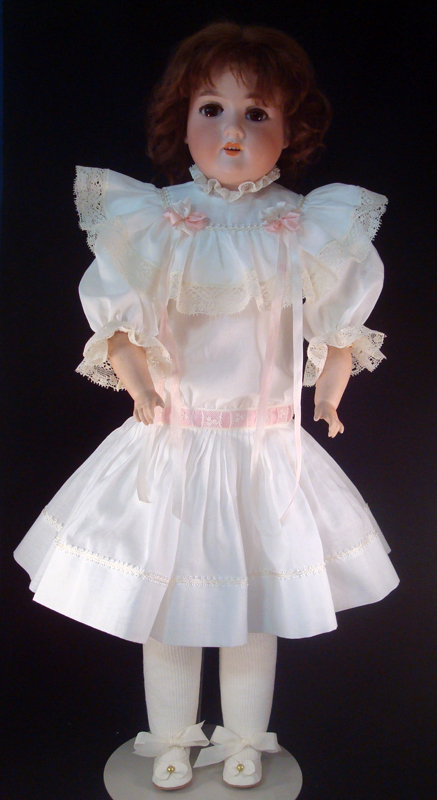 It is sized to fit under the antique style doll dresses that are made here at Forget Me Not Doll Repair. The drawers/bloomers are also available. If you have a bisque head shoulder plate doll on a leather body, you may need to purchase the next size larger if the shoulder plate is extra wide.